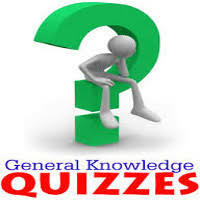 General Knowledge questions on Indian GK for Bank PO, IBPS, Bank Clerical And Indian GK For Railway GroupD,RPF,Rajasthan Police SI 20-10-2018 questions for bank exams, very important computer-related questions for Bank PO, SBI PO, IBPS,RAS, IAS, UPSC, RPSC, 1st, 2nd, 3rd Grade Teacher, REET CTET, LDC, SSC CGL, IBPS, MBA, CAT, MAT, SBI-PO, RBI And Railway, Indian Army And all competitive Exams, and Most expected Computer Question Papers with answers. These Questions are most commonly asked in Other Banking Exam And All subject Wise Notes and Math, Hindi, English, History, Political Science, Psychology, Sanskrit Related Study material. Question(1) Which emperor did the country of Islam from the country of infidels wanted to make India? भारत को काफिरों का देश से इस्लाम का देश कौन सा सम्राट बनाना चाहता था ? Question(2) What was Babur’s father’s name? बाबर के पिता का नाम क्या था ? Question(3) Who led the Vijay Nagar in the Battle of Talikota? तालीकोटा के युद्ध में विजय नगर का नेतृत्व किसने किया था ? Question(4) Who gave Akbar the title of a pen with a pen and a pen? अकबर ने शीरी कलम तथा जड़ी कलम की उपाधि किसको दी थी ? Question(5) What was the real name of Babar? बाबर का वास्तविक नाम क्या था ? Question(6) When and when was Babar born? बाबर का जन्म कब व कहां पर हुआ था ? Question(7) Whose age is the golden age of architecture? स्थापत्य कला का स्वर्ण युग किसके काल को कहा जाता है ? Question(8) What was Birbal’s childhood name? बीरबल के बचपन का नाम क्या था ? Question(9) Who built the Red Fort, Jama Masjid and the Peacock Throne of Delhi? दिल्ली के लाल किला, जामा मस्जिद तथा मयूर सिंहासन का निर्माण किसने करवाया था ? Question(10) Who composed the book of Akbar Nama? अकबरनामा ग्रंथ की रचना किसने की थी ?